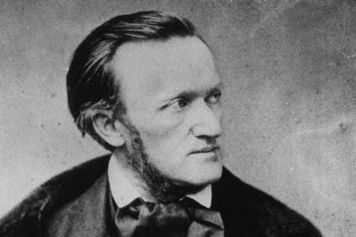 Richard Wagner's idea for "Gesamtkunstwerk" (literally "total artwork") demonstrates the scale on which the German composer operated: with 18-hour operatic cycles, orchestras that were more powerful than any ever assembled, and librettos examining the tragedy and heroism of existence, his legacy is utterly titanic. Born in 1813, Wagner was introduced to the theater by his stepfather and, after brief musical training, began composing operas. Dissonant chromaticism and expansive orchestral technique resulted in mid-career triumphs including 1845's Tannhauser and 1848's Lohengrin. After finding a benefactor in King Ludwig II, Wagner wrote his masterwork, Der Ring des Nibelungen (known commonly as "The Ring Cycle"). 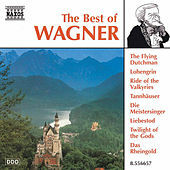 A set of operas based loosely on Norse mythology, the Ring birthed the stereotypical marriage of Viking helmets and stout sopranos, included the "Flight of the Valkyries," and was appropriated by Nazi ideologues for its heroic depiction of the German nation. After finishing Parsifal, Wagner died of a heart attack on February 13, 1883. While striving for Gesamtkunstwerk, Wagner made profound achievements in his creative expression.